08-22-2009 Syracuse, NY Between Midland and South Salina St. It's finally here. The 2nd Annual Furman St. Block Party Celebration presented by Sheridonna, JIMMY BLACK and Neighbors. Double Dutch, Go cart Driving, and Bouncer for the kids. Special invited guests are AYO and L Finess. KFC on S. Salina St.
Valley Cleaners of Midland Ave.
Kendric T. Bedell is at it again. 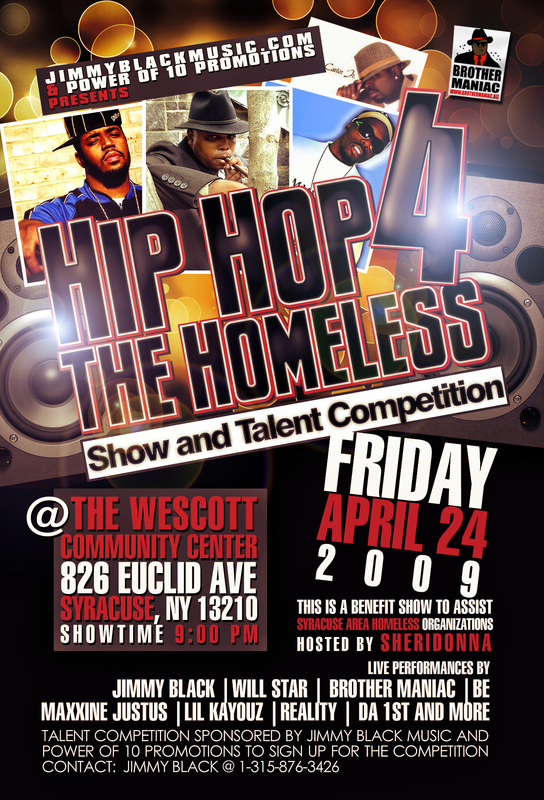 The Syracuse man who started the Upper State Indie Awards at the Palace Theatre two years ago and is partnering with Patrice Bey to put on the People's Stride series is putting on "Hip-Hop for the Homeless" Friday night at the Westcott Community Center, 826 Euclid Ave., Syracuse NY. He'll perform under his rap name Jimmy Black. Also on the stage will be Will Star, Brother MANIAC, BE, Maxxine Justus, Lil Kayouz, Reality, Da 1st and more. The donation is $10. They will also accept non-perishable food items, clothing and blankets. "A percentage of the donations will go to the Rescue Mission and other Syracuse organizations that aid and assist the homeless," Bedell says. Download a free show flyer. Talent Competition sponsored by Jimmy Black music and Power of 10 Promotions to sign up for the competition contact: Jimmy Black at 315-876-3426. Finally, someone is going to take the lead and help the people who need the most help of us all, the homeless. With the economy moving in a continuous down slope, finances are getting tight for everyone, but even in such trying times people still are able to give. Major Cameron, also known as Brother Maniac, owner of Brother MANIAC Music along with Baltimore R and B Artist Will Star and Ms. Kitten, Manager with Topp Dogg Hill has decided to lead the giving with his upcoming event, the "Hip Hop for the Homeless Benefit Show. " This event was designed to bring together Hip Hop Artists from DC, Maryland and Virginia to raise awareness of the Homeless Problem that our region faces. It will also give a percentage of the events profits to area homeless organizations such as Martha's Table. Brother MANIAC Music along with Experience Reality Magazine, Kapital Magazine and Across the Fader are co-sponsoring the Hip Hop for the Homeless Benefit show which will take place On Sunday, April 26th at The Five Seasons, 830 Guilford Ave, Baltimore, MD 4-8pm. The Hip Hop for the Homeless Benefit Show will include live performances from many of the participating artist and some special guests. Donation for attending the event is $10 (we will also be accepting donations of non-parishable food Items, Clothing and Blankets). A percentage of donations will go to Martha's Kitchen (A DC area soup kitchen) and other Baltimore organizations that aid and assist the homeless. Brother MANIAC has recently released his stellar hip hop project Still Rising comprising of 13 tracks. For more infomation on this project visit www.cdbaby.com/ brothermaniac5. For more information on the Hip Hop for the Homeless Benefit Show or The Brother MANIAC Still Rising CD Release: please contact Major Cameron (Brother MANIAC Music) at 1-888-961-0111. You can also visit www.myspace. com/brothermaniac . Award Show and does the graphic for A.T.H. Inc.   She's energetic, detail-oriented, and hardworking . 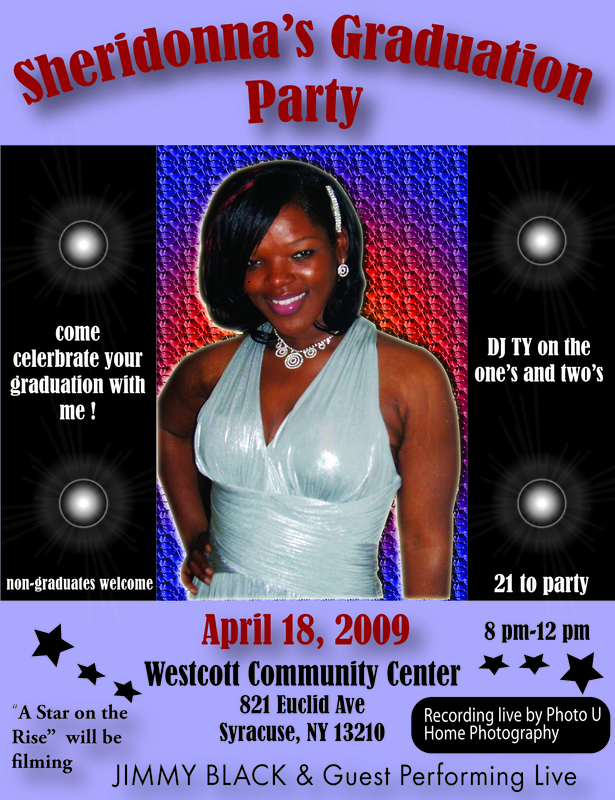 Sheridonna's After Party April 18, 2009 8pm-12am EST  Download a free Sheridonna After Party flyer. Live Performances by JIMMY BLACK, Lil Kayouz and Guest. Should You Run to trunk raddling joints like It's Hot to the title track and club single, That's How We Party. hip-hop's musical classics, says Jeff Armstrong, Asst. Manager of Mactivity Productions. 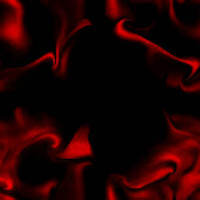 To Download the That's How We Party, visit http://www.JIMMYBLACKMUSIC.com  . Stay tuned - more events to be announced. 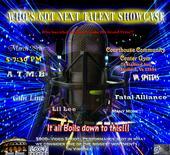 THIS WILL BE A $800 TALENT SHOWCASE WINNER TAKES ALL. YOU WILL HAVE SOME OF THE BEST UP AND COMING INDEPENDENT ACTS IN VA.
ME AND SHERIDONNA GONNA BE ONE OF THE JUDGES SO YOU DON'T WANT TO MISS THIS EVENT IF YOU IN THE AREA. After party with Sugar Bear and E.U. YOU ALREADY KNOW THIS SHOW WILL BE WHERE YOU NEED TO BE CAUSE WE DEFINITELY GONNA MAKE IT HOT. Organizer Patrice Bey reports that Jamaican reggae star Prince Theo had a wonderful time as the debut performer at The People's Stride concert series opener on Saturday night at the Southwest Community Center in Syracuse. "He expressed humbly that he felt the trip was well worth it as he got to know Syracuse and to encounter its people," Bey writes. 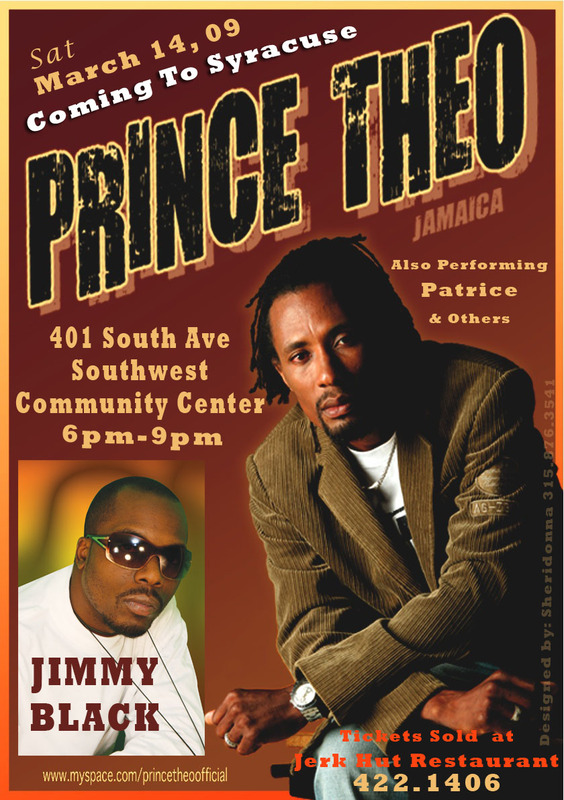 She adds that "Juneteenth planners have expressed interest in booking Prince Theo for the annual Juneteenth event ... so we may get to hear Prince Theo live with his band here in the 'cuse again thanks to Jimmy Black." What: Prince Theo at The People's Stride Concert. Where: Southwest Community Center, Syracuse. Time of concert: 3 hours total, 45 minutes for Prince Theo. Prince Theo was the perfect special guest for the debut of The People's Stride concert series. The reggae singer from Jamaica filled the big room at the Southwest Community Center tonight with a pure singing voice, positive message of social conviction and a big heart for the Syracuse community. He thanked the hosts for the new series, Patrice Bey and Jimmy Black, several times throughout his headlining set. He waved to the children in the crowd who had slipped away from their families to get a good view and show some dance moves toward the front of the stage. And he sang to his tracked music and made it feel totally in-the-moment, waving to Syracuse DJ A.Y. to play a different song than they had planned or getting him to start the track over so he could get the emphasis on his lyrics even better than he did on the first track. Bey introduced her old friend to the stage with the honored title of "liberation reggae" artist. Also born in Jamaica, the current resident of Syracuse had the honor of returning to their homeland several years ago and performing with Prince Theo. She knew where his heart and lyrics stand. Theo started his set off with a beautiful a cappella song with the message "for everyone, there's enough love. He ended the set with an equally gorgeous a cappella song with this poetic beginning: "See that broken-hearted man, sitting in the buring sand." In between he sang of love and respect for your fellow man and the dogged determination to make this world a better place. Prince Theo declared tis as his first law: "Give to receive." And he got a big cheer for those words. Bey and Kendric Bedell, who raps under the name Jimmy Black, started this series with the hopes of giving the community a positive outlet. One rule: No profanity or sexual content in lyrics allowed. All of the Central New York acts kept to that mandate. The show got off to slow start. DJ T.J. had to help Prince Theo on a sound check when the doors opened at the announced time of 6; he didn't start spinning on his own until 6:30 after a hefty pause. After he spun tracks for 30 minutes, Jimmy Black opened with sidekick L'il Kayouz, rapping, "Don't give up, I love you and I want to see you rise." He and Kayouz rolled with style together to "It's Hot." Teen-aged poet Sabrenna recited three of her works with eloquence and fire. At the end of "My Opinion," she declared, "Ain't nothing different but this skin that we're in. This is my opinion." Reality performed on acoustic guitar and vocals, a woman determined to make things better for youth with a folk/world stew of sound. The title of her song "Get Along Children" said so much. Khalid Bey honored a request from his friend Patrice Bey to rap live one more time, even though, as he told the crowd, he's "retired his rhymes" to run for political office. Rapping under the name The Most Talented, he talked of growth, honor and commitment to family with his song "Evolution." Patrice Bey showed off her pretty voice on "It's Calling You," inspired by moments of introspective thinking, she told the crowd. Reggae group Bo Bo Camp ended up five strong on stage, waving Jamaican flags and singing devotedly about their rastafarian beliefs. "Knockin' on Zion's Door" was a tasty take-off from Bob Dylan's classic "Knockin' on Heaven's Door." evening out with friends and family. Celebrating The People's Stride in March. Culturally telling lyrics and soothing delivery style characterizes this Reggae Artiste. Live, Prince Theo performed on various stages in Jamaica as well as America and Europe. Just to name a few: Jamaica (1999-2001) Satta Massa Gana, Rebel Salute, East Fest. Baaz'Art Festival, Zicalizes Festival (France) and the famous Rotodom Sunsplash in Italy. (Trinidad) and Lorenzo (Jamaica) Switzerland, France and Italy. Addressing Negative Information About the Community. will feature an Open Mic, featured artist performances, and DJ After Party. Major Cameron, Promotions Director for Brother MANIAC Music. advance and may be obtained through Brother MANIAC Music. Visit www.myspace.